I’ve had people ask me about this in the past, so I figured a post about it was in order. 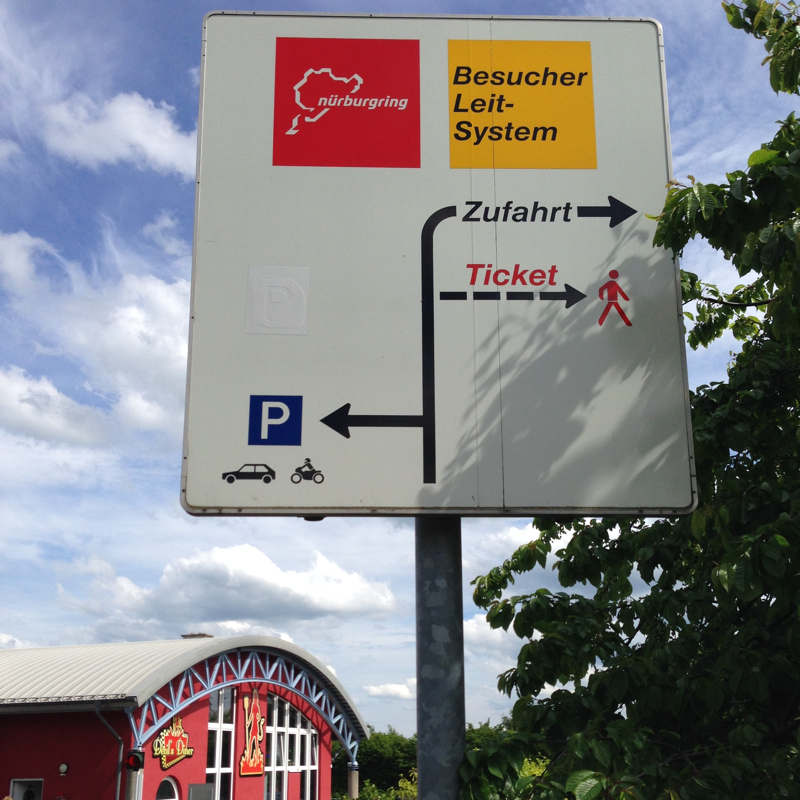 There generally two ways you can drive on the Nürburgring Nordschleife- touristenfahrten or track days. Most of you reading this are probably familiar with track days. The basic concept here is that a group rents out a race track, pays for insurance, track workers and medical staff. Participants pay a fee that covers these costs plus some payment for the organizers. These happen more or less the same way at race tracks all over the world and the Nordschleife is no different. Touristenfahrten means “public driving” in German and is a concept the North American readers of this site may not be familiar with. The Nordschleife is considered to be a public toll road by the German government. This means that for about $36 any street-legal vehicle in safe condition can take a lap of the Nordschleife. The vast majority of the Nordschleife has no speed limit during these public sessions, so yes, you can go as fast as you dare. Cars: For those of us crossing the Atlantic to experience The Green Hell, in both cases, an appropriate car must be rented (Unless you’re wealthy enough to ship your Pagani over for a drive or have a car on stand-by in the corporate park!). Driving whatever you rented at Frankfurt am Main airport is not only a bad idea, it could result in thousands of Euros in fines from Hertz, Avis, Sixt or whatever company you chose. So either way, you’ll be renting a track car from one of the several companies in and around Nürburg, like RSR Nürburg. Challenge: Either way, you’ll be driving the same track at similar speeds. You will get to challenge your skills no matter what driving opportunity you choose. Preparation: You should take driving The Ring seriously, period. It’s prudent to virtually drive the track in your PC or console simulation of choice many, many times before you go. This is not a substitute for actual track time, but it will greatly help you recognize sections of track so you’re ready for what’s coming next. Watching YouTube videos of others drive the track is another good preparation method. Fun: With the right frame of mind, both a public session or a track day are a heck of a lot of fun! Just remember that neither is a race. There’s no trophy at the end of the day, so leave a little extra margin of safety as the Nordschleife has a way of throwing the unexpected at you. Traffic: In general, there will be less cars at a track day than at touristenfahrten. You’ll be able to concentrate a bit more on the proper racing line and learning the track. Speed Differential: There will be fast cars and faster cars at both, but you won’t have tour buses and other speed challenged vehicles to worry about at a track day. Cost: The more laps you’re planning to do, the less of a difference this becomes. However, you’re probably going to spend a few hundred Euro more for a track day. The Straight: The main entrance/exit to the track is in the middle of that long straight between Galgenkopf and Tiergarten. On a track day, you’re not paying for and driving a lap at a time, so you can experience the full straight at speed. During touristenfahrten, you only have full throttle for so long after Galgenkopf before you need to start slowing down for the exit. Green Hell Guides can help you pick the best driving option based on your preferences, budget, experience level and timing of your visit. Contact us to begin planning your trip to The Nürburgring today.